At the symposium, I shared the panel “Tactics for DIY Cities” with Slovene artist/architect Marjetica Potrc, who showed The Cook, the Farmer, His Wife and Their Neighbor, a community garden/kitchen/collective artwork in the Amsterdam suburb Nieuw West that she created with the design collective Wilde Westen in 2009. The difficult question of evaluation dominated the Q&A that followed our session — and even in an academic setting, where one might expect cool objectivity, it was a hot potato. I tried to pick it up. I suggested that the evaluation of individual projects would be a futile pursuit. It would hamper our ability to take in the larger picture — the networks of practitioners and the diversity of tactics — at exactly that moment when social media are enabling these ground-up initiatives to flourish. But while I believe this to be true, it was also a dodge — a way to forestall judgment and see where these practices are heading. For one audience member, however, this would not do. For this interrogator, a television program that aired on Australia’s Ten Network for a few months in 2009 exemplified the need for quick judgment. The program, Guerrilla Gardeners, followed the efforts of a half-dozen good-looking eco-warriors as they made unauthorized forays onto vacant public lands with the goal of transforming underused eyesores into blooming gardens. Lobbed from the audience, guerrilla gardening landed with grace of a seed bomb, making for a weedy thicket that Potrc and I were left to hack through — and highlighting just how difficult it is to judge such projects. The heated questioner was apparently offended that the activity of guerrilla gardening — a form of tactical urbanism and ecological activism — had been co-opted by the commercial interests of one of Australia’s major networks. She wanted us to join her in swiftly dismissing the show as a mainstream opiate. But is a network-sponsored urban agricultural intervention any better or worse than a rooftop farm created by Brooklyn foodies or an old-school community garden tended by inner-city communitarians? Is urban gardening about lifestyle or politics? Is it activist or bohemian bourgeois? That day in Sydney the emotions ran high; identity was at stake. And the answers aren’t clear. If what we value is political radicalism, then Guerrilla Gardeners might actually come out on top. The half-hour program was canceled after just a few months because it seemed to sanction trespassing; the show provoked controversy because municipal governments rejected the unlawful landscaping on their property. Although lighthearted and aimed at a wide audience, Guerrilla Gardeners ultimately promoted an interventionist ethos that runs counter to NIMBYism. But if we award gold stars to social justice writ large, then it’s The Cook, the Farmer, His Wife and Their Neighbor that we’ll applaud; this collective artwork represents a fully engaged community action that celebrates local food production. Located in a postwar modernist suburb in the Geuzenveld-Slotermeer district, the project transforms an underused green space into the site of citizen agriculture. The artists and designers established a structure — both social and architectural —in which gardening can bring together residents of the multicultural Amsterdam neighborhood. Yet the project was realized in collaboration with a major institution, the Stedelijk Museum. Does this kind of association with an established cultural arbiter knock points off for authenticity? Urban gardening is one of the most popular tropes to emerge from the DIY urbanism trend. It’s second only to food trucks. Today, in fact, the old “roach coaches” of an earlier era have emerged as mobile foodie magnets, catering to a new generation of gallivanting gastronomes — to the point where even when the food truck tactic is deployed in the cause of social justice and community outreach, its popularity complicates the issues. Let’s look at two mobile food education centers: Jamie Oliver’s Food Revolution semi-truck (designed pro-bono by the Rockwell Group) and the Mobile Food Collective, developed by the Chicago-based alternative design school Archeworks. The projects are similar — both are mobile and come equipped with a pedagogical imperative to raise awareness about food and the food chain, from farm to table, within urban communities. Oliver’s truck, of course, is one component of a multinational corporate brand that includes a television show, cookbooks, restaurants, a foundation, not to mention the imprimatur of a TED Prize and an MBE. The 18-wheeler not only has a full teaching kitchen; it’s also got an inflatable band shell that resembles the pneumatic spectacles imagined by Ant Farm and Archigram; and it’s all tricked out in revolution-inspired graphics — painted onto the side of the truck is a raised fist brandishing a spoon. The Food Revolution truck partners with the California Endowment and operates in the Los Angeles school district. Every part of the project is keyed to high-profile outreach. A more grassroots effort, the Mobile Food Collective is a lightweight, portable structure constructed by Archeworks students from building materials donated by a Chicago recycling nonprofit. The design centers on a long wooden table, with file cabinets serving as both storage and seating. It’s suitable for sharing meals as well as hosting workshops that address the social and economic issues surrounding food production. Archeworks also created a fleet of bikes and trailers to boost what it calls a “cultural infrastructure” — partnerships with neighborhood nonprofits, urban farms, local groceries and area restaurants. The MFC is designed to be nimble and comparatively low-cost; yet it still depends upon institutional networks for funding and operations. The project was funded in part by a grant from the Graham Foundation for Advanced Studies in the Fine Arts, and in 2010 it was showcased in the U.S. Pavilion at the Venice Biennale. Is one food truck more or less legitimate? Do we judge on the basis of intent or content, audience or producer, reach or outreach? In architecture, such questions of impact and functionality would fall under the rubric of “post-occupancy evaluation.” (To be sure, POE is a practice that has yet to be fully embraced by the profession.) The performance of a structure can be measured using a variety of metrics: annual energy use, number of visitors, user productivity, etc. But when dealing with mobile and ephemeral works that skirt the edges of activist art and community organizing, the process of evaluation becomes more complex: the hard facts, the data that might influence policy or spice up a grant proposal, are elusive. As a result, as often as not it’s sheer popularity — presence in print and online media — that becomes the default arbiter. And as with any media-driven contest, there’s a real risk that the know-how to represent and market a project will trump the more substantial matters of content, impact and value. Making these determinations becomes more problematic as the whole concept of what I’ve been calling in this series “provisional, opportunistic, ubiquitous, and odd tactics in guerilla and DIY practice and urbanism” is picked up by larger organizations, all brandishing their own urban design agendas. In late March, for instance, the downloadable pamphlet Tactical Urbanism: Short Term Action | Long Term Change was extensively blogged, liked on Facebook, and retweeted. The 25-page booklet, which referenced “The Interventionist’s Toolkit” as source material, pulled together a dozen case studies as a guide for launching temporary, low-cost urban experiments. Compiled by Mike Lydon, Dan Bartman, Ronald Woudstra, and Aurash Khawarzad, the Tactical Urbanism booklet was produced by the Street Plans Collaborative (Lydon is the founder) and the Next Generation of New Urbanists, or NextGen, as they like to be called — signaling, perhaps, a distancing from the group’s New Urbanist roots. And as the popular publication circulated around the Web, the relationship of this material to the Congress for New Urbanism dropped away, just as the words New Urbanism slipped from the organization’s moniker. In the rush to embrace tactical practice, both evaluation and ideology were overlooked. The pamphlet’s conclusion underscores just how indeterminate evaluation can be: “Short-term livability improvements demonstrate that improving the built environment is possible, and sometimes, [sic] only requires proactive policies and a little gumption. When executed well, such efforts help generate demand for even more substantial livability improvements.” This is all fairly equivocal and highly qualified, with the emphasis on what’s “possible,” as long as you’ve got “gumption.” And without ever explicitly referencing a New Urbanist agenda, its list of actions, too, seems carefully chosen to please a homogenous group of do-gooders. Ranging from the broad to the specific, these actions include Park(ing) Day, guerrilla gardening, food vendors, pop-up retail, and the Build a Better Block program. Systemic or political inner-city fixes, these are not. Founded in 2003, NextGen functions, according to its manifesto, as training for future CNU leadership. Here the question of evaluation becomes not just practical but also political: How to evaluate Tactical Urbanism, given the relationship between its authors and an ideological organization often criticized for promoting greenfield development and neo-traditionalist values? Is this a case of an aging organization co-opting the progressive tendencies of a younger generation? Or does it point to a generational shift within the CNU, a refocusing from suburban to urban concerns, including such lifestyle elements as art walks, farmers markets, bike lanes, etc. Or maybe we just accept the definition of tactical urbanism offered in the NextGen booklet: “The development of social capital between citizens and the building of organizational capacity between public-private institutions, non-profits, and their constituents.” Perhaps this linkage between public and private begins to stake out one criterion for evaluation? As such, some might call it good business; but a crusty punk might call it a sellout. But despite all the efforts to codify activism, there is still no handbook for assessment. In many cases tactical needs are implicitly tied to lifestyle values. This August, for example, Urban Space Management, a UK-based investment and development consultancy specializing in the “economic renewal of under utilised space for retail, workshop and community uses,” opened the Dekalb Market in Downtown Brooklyn, a few blocks from the Fulton Street Mall. USM, which has friendly ties to PPS, has long relied on festival marketplaces to generate revitalization. For the Brooklyn project (a joint venture with Youngwoo & Associates), Urban Space has repurposed old shipping containers as market stalls. Here “Makers, Artists, Farmers and Chefs” (to quote the website) sell local products and produce; which means, in effect, that the Dekalb Market offers a finely curated selection to the urban bourgeois-bohemian — it’s part locavore, part conscientious consumption, part community connection. Although connection to the community seems to be the weakest part, consisting merely of soul food cooking demonstrations, urban farming workshops and local DJ’s programming music for the afternoon. Ultimately the whole effort seems geared for the weekend warrior — a self-aware consumer more interested in artisanal pickles and micro-brews than in the holistic economy that would sustain the existing community. Although superficially similar in focus to Urban Space Management, the younger Renew Newcastle, a non-profit based in a former steel town on the east coast of Australia, is different in instructive ways. Founded by Marcus Westbury in 2008, Renew Newcastle is an example of how an entrepreneur’s dream and sweat equity can lay the groundwork for longer-term development. Initially financed on Westbury’s credit card, the organization uses vacant buildings in Newcastle’s central business district to incubate small businesses and local artists. More recently working with local, state and federal support and with the backing of the University of Newcastle and local businesses, Renew Newcastle collaborates with property owners to activate abandoned storefronts, with the goal of bringing new creative capital to the decaying downtown. Westbury calls the organization a “permanent structure for temporary things.” Not a design project per se, Renew Newcastle is instead a reinvention of the legal framework surrounding vacant buildings. It works to mitigate risk and reduce landlord liability; entrepreneurs occupy spaces on a rolling 30-day basis, and property owners are allowed to give tenants notice if a commercial opportunity becomes available. In this way the organization enables the collaboration and growth of small Etsy-type producers, artists and community groups. It’s a demographic that resembles that of the Dekalb Market, but in Westbury’s project participation is based more on entrepreneurial drive, less on hipster taste-making. And Renew Newcastle is supported by a robust social networking community, encouraged by free Wi-Fi. In this activist model, culture arises from the bottom up, but it has the capacity to instigate larger redevelopment and reinvestment. In 2010, Newcastle was placed on Lonely Planet‘s list of Top Ten Cities — a coup for a rustbelt town refueled by DIY energy. Still, the accolade — which kindled new media recognition, tourism and commercial development — underscores just how difficult it is to judge, rank and in general establish criteria for individual interventionist successes. It’s frustrating that at this point the best we might be able to do is to be self-reflective, aware of the ideologies and contexts and contradictions of diverse projects. And we need to evaluate failure as much as success — to face the fact that some interventionist actions might fail, fall short or reveal themselves to be shallow, ugly or expensive. As it stands, evaluation is neither neutral nor systematic, but inevitably subjective and complicated. If we apply Westbury’s model of a “permanent structure for temporary things” to the question of assessment, we’ll see that what’s been missing from our toolkit is a punchlist for best practices. The real success for DIY urbanism will be based not on any one project; it’ll happen when we can evaluate the movement based on outreach, economic impact, community empowerment, entrepreneurship, sustainability and design. We’re not quite there yet. "some might call it good business; but a crusty punk might call it a sellout." Some might call that a gutless cheap shot. The folks working on NextGen initiatives like Tactical Urbanism are smart capable practitioners. I doubt that they are concerned with how your straw man crusty punk views their work. I'm not sure I get the point of this essay. Is it to deny any interventionist the opportunity to contribute to a "punch list of best practices?" Also, the measure of success is not just, "when we can evaluate the movement based on outreach, economic impact, community empowerment, entrepreneurship, sustainability and design." It's also how much more beautiful, memorable and humane places become as a result of interventions, and how many people say the evolution makes them happier. Maybe I suffer from being a very old person who finds NextGen efforts invigorating and a sign of hope, but I am confused by the intent of this article. The writer states, "But ever since the symposium, I've been wondering about how we might evaluate the results of those freedoms. 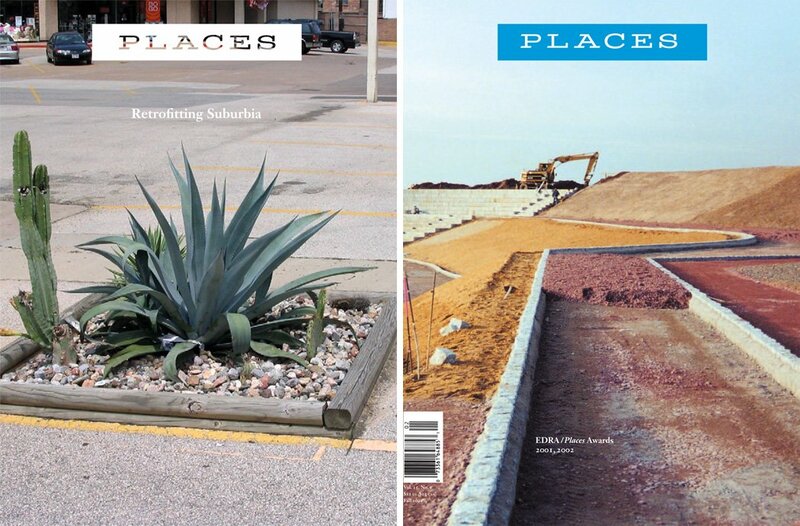 How to rate the diverse architectural actions and urban interventions that seek to remake the city?" She questions in the article how various efforts should be compared to one another. Personally, I find this attitude intrinsic to the demise of architecture over the past 50 years. Instead of being understood as a service profession that intends to do good, or perhaps just no harm, by providing enjoyable places that support peoples needs by providing comfort and needed places and buildings, it has focused on a competition to do the next new thing or be the new avant, sometimes achieving this by demonstrating the confusion and divisiveness within our culture with inappropriate and damaging projects. Tactical Urbanism, as I understand it, is about something totally different: simple, quick, and effective measures that can help make better places, heal the hole in the built environment, and help mend the fabric of community. None of the people who I know, who are working to implement tactical urban projects or promote the effort, seem to be interested in any type of rating system that judges one effort to another. Instead, they seem to be more interested in the efforts that have already been implemented inspiring new efforts. There is an enthusiasm for both new ideas and for the duplication of previous efforts. Project for Public Spaces has actually been doing this for decades. I first saw their "tactical urbanism" implemented decades ago when they used paint on the street and a few cones to demonstrate to a municipal board the possibilities of traffic calming. Mike Lydon and his compatriots are working in the trenches finding ways to make streets more complete, neighborhoods more vibrant, and places more enjoyable. While I am sure that they appreciate recognition for their work, since that can help them do more of it, I cannot imagine either Mike Lydon or Ethan Kent at PPS spending one moment worrying about how one of their projects rates compared with someone else's. There is so much work that needs to be done, the last problem should be the imposition of competition between the people doing it by seeing their projects rated. Evaluation, on the other hand, is critical to these efforts and integral to everything that I see them doing. They are very conscious of how well things work and what could be done next time to make it work better. But the big difference is that they are not proprietary about the work. There is a willingness to share and provide mutual support. The stinginess within the architectural profession starts to look silly when compared with the generosity of the Tactical Urbanists, NextGens, and everyone else who came to the conclusion years ago that hiding in silos and behind locked doors was perpetrating damaging land use and social policy systems. The Congress for the New Urbanism embraces a full age range from people just starting out to people who have been working at placemaking for 50 years. While NextGen activities are perhaps more populated with the younger end of the spectrum, it has always included people of age, including some who have helped create CNU. That some of the work by people who have been associated with NextGen does not brandish a CNU connection is of no significance. CNU is also inclusive and supportive and not threatened by people who are evolving new solutions. To the contrary, CNU embraces solutions that work and provides a forum within which they can be shared, evaluated, and propagated. The NextGeners, as well as Tactical Urbanists, understand this. It means that they do not have to perceive themselves as within any silo or under someone's banner. It is simply there to use when they need it. As Ann Daigle and John Anderson note above, there is very little concern within these efforts of self aggrandizement. The focus is instead on making better places. In fact, there may even be a nod to the anonymity of the real punks that were doing these things in the early 70s. I still remember the footprints of the "Purple People" painted on Broadway. Does anyone know their names? Credit is over-rated. I think we are moving to a world where cash - actual value - is what counts.